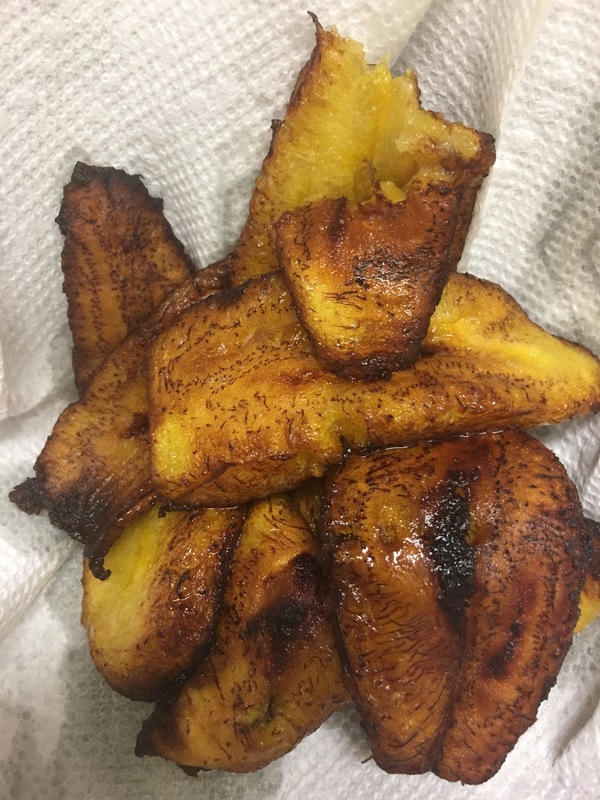 Plantains cooked two ways – Hurried Home Chef! 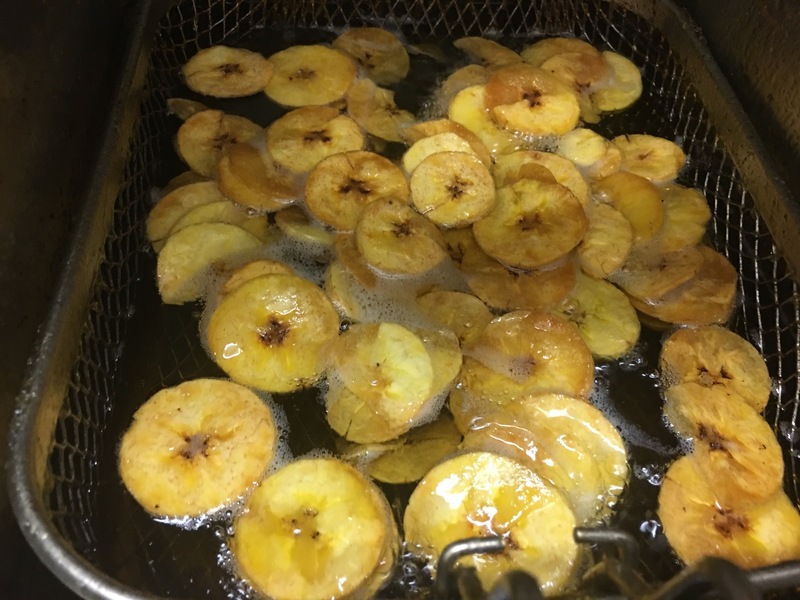 Most of us have eaten plantains at some point, they are quite easy to make if you don’t mind frying. They are usually found in one of three stages: green, yellow, or black. For the green ones, you can make chips. Just cut thin with a mandolin or knife. 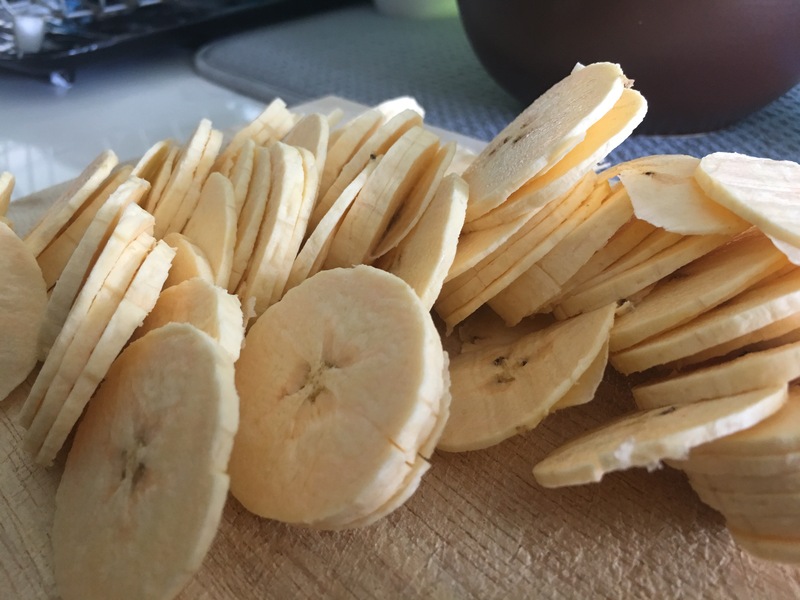 Deep fry these and make chips. Drain oil and season with salt as soon as they come out of the oil. You can also use season salt, freshly grated garlic in a little olive oil, or your favorite seasoning. 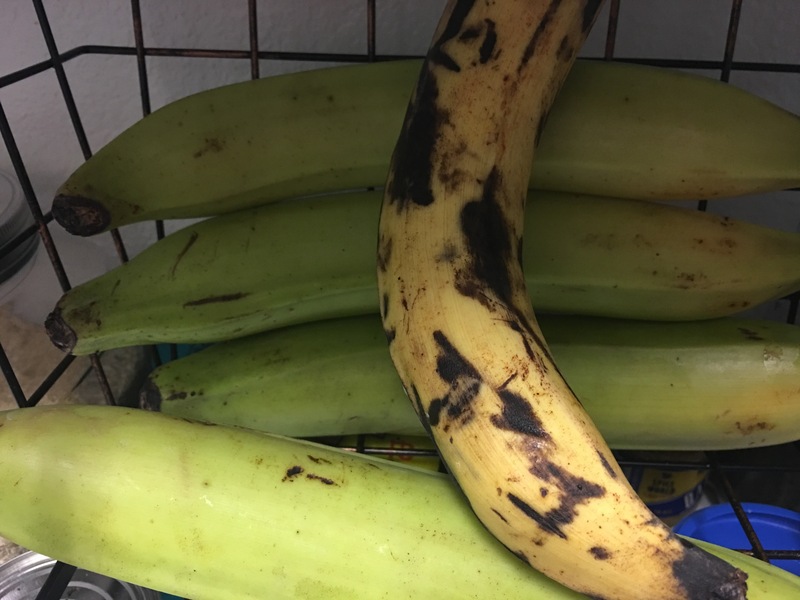 Next is the ripe, soft plantains. These are yellow with black spots or all the way black with barely any yellow. Just cut on the bias about 1/2 inch thick. Fry on medium high heat about 325 if you have a fancy fryer. Then drain on paper towels or brown paper bags. These will retain the heat and burn your tongue so be careful ! These are made in several cultures and liked by many. Give it a try! Previous Post Lazy Sunday morning breakfast in! Baked eggs with asparagus and onions.